Our Ready2Succeed workforce development programs provide valuable training, job experience and references, as well as the opportunity to earn and save wages for permanent housing. Participants no longer struggle with life-altering addictions or behavior and are motivated to achieve independent employment. For more information download the Men’s Ministry Brochure. 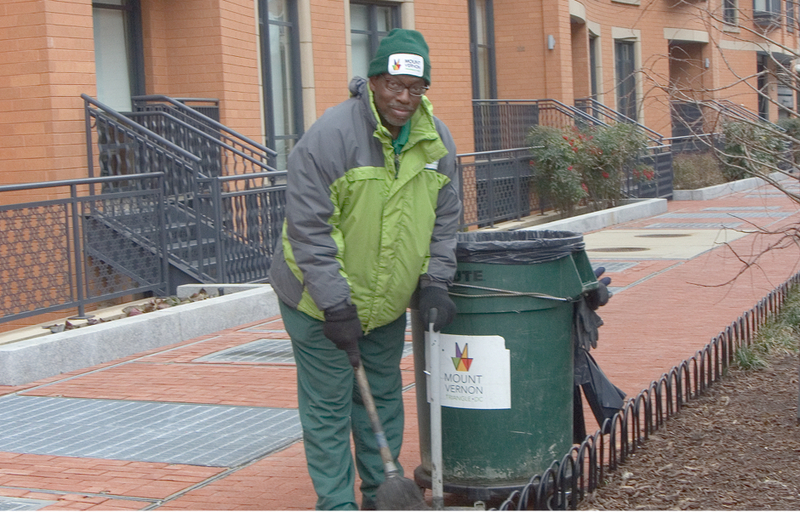 Ready2Work is a street-cleaning and beautification service provided by formerly homeless and unemployed men and women for six Business Improvement Districts in the city. The 12 to 18 month program provides participants employment and the opportunity to develop and enhance on the job skills. Participants also receive social service support, adult education and employment counseling to prepare them for successful long term employment. Ready2Recycle employs homeless men in running a recycling service. Ready2Recycle employees pick up and sort donations for our Family Ministry Center programs. Donations unsuitable for the program are recycled. Participants live at the Mission, are paid and receive training and preparation for independent living. Click here for more information and to schedule a recycling pick-up. Visit our Mission Muffins website to view our menu and order products or download the Mission Muffins Brochure. Students can also participate in the Culinary Job Training Program, sponsored in partnership with DC Central Kitchen. Graduates gain valuable kitchen skills required for cooking jobs as well as soft skills necessary to be successful in the workplace. An additional work program the Mission offers, provides assistance to men who are currently employed full-time but have no place to live. They receive a reserved bed for 90 days initially and are required to save 50 percent of their net earnings on a cumulative basis each payday. This savings is used to secure their permanent housing after leaving the Work Program. They may also qualify for one of our Ready2Succeed programs. by the end of their one-year term. Circumstances Program. Participants must be involved in a productive activity that will lead to self-sufficiency, such as school, training or part-time employment. Extended Support Program participants struggle with mental illness, cognitive impairment and/or physical impairment and are without family or other caretakers. Individuals are deemed eligible based on the Mission’s ability to support their level of care. When appropriate, the Mission assists them with obtaining health and income benefits and suitable employment.